A castle fit perfectly for a Princess! This jumper includes not one, not two but FOUR exciting features and comes in a fun and girly color combo that Princesses of all ages will enjoy. This bounce castle features a large jump arena that has an attached basketball goal that all guests will enjoy. Guests of the Princess will also enjoy a thrilling slide that leads to adventures outside. Choose the wet option that will feature a cool splash pool at the end of the slide. 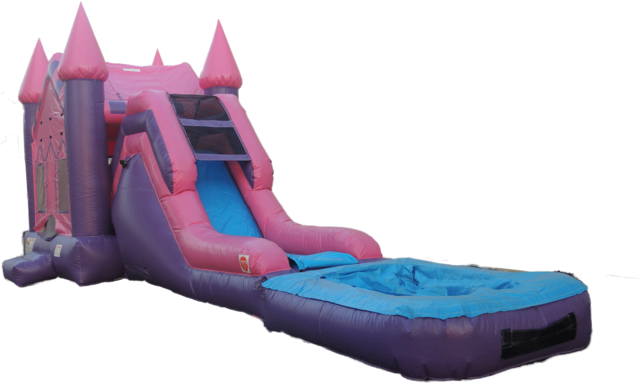 This inflatable combo jumper is sure to make any Princess party truly magical.